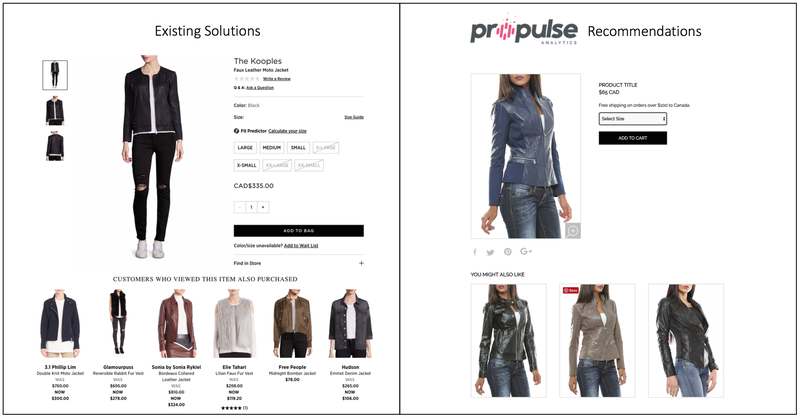 Propulse Analytics is launching today with $1.4 million in seed financing to equip retailers with deep learning for product recommendations. Backed by Wobemail Online Services LLP and Stradigi Ventures, the Canadian startup is leveraging the features of product images to better grasp customers’ tastes and ultimately increase sales for retailers. The inspiration for Propulse came from CEO Eric Brassard’s experience working for Saks Fifth Ave. He explained to me that top salespeople on the floor can earn almost $200,000 per year. The art of selling clothing is recognizing the tastes and personalities of customers quickly and recommending appropriate items. More traditional applications of machine learning to product recommendations are powered by collaborative filtering. Retailers monitor the products all customers view before making a purchase, and recommend similar products to similar customers. This model has proven very effective for companies like Amazon, Spotify and Netflix. However, the model tends to benefit larger companies over smaller ones. Models improve with data, and it can be a challenge to overcome the cold start problem if you’re just starting out and don’t have much more to go on than an IP address for location and weather data. Propulse is focused on marketing its service to small and medium retailers. These businesses are small with respect to Nike or Zara, but are often still household names. Frank + Oak was an early customer of Propulse. The fashion retailer has switched strategies quite often as of late, but has always staked its brand on personalization. Ethan Song, CEO of Frank + Oak, told TechCrunch that his company is seeing 2.5X conversions with a new recommendations page powered by Propulse, though it’s tough to say how much of that is a result of marketing and the existence of the page itself versus the technology powering it. Retailers get charged either by volume, the more compute used to power the recommendations or performance. In the latter case, Propulse gets compensated on improvement. This requires companies to track changes in conversions, but it’s an easier pill to swallow for retailers that are pitched AI solutions to improve revenue on a daily basis.